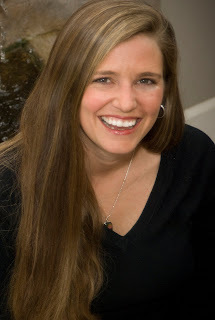 Casablanca Authors: GUEST LAUNCH PARTY + GIVEAWAY: Tawna Fenske, Making Waves! 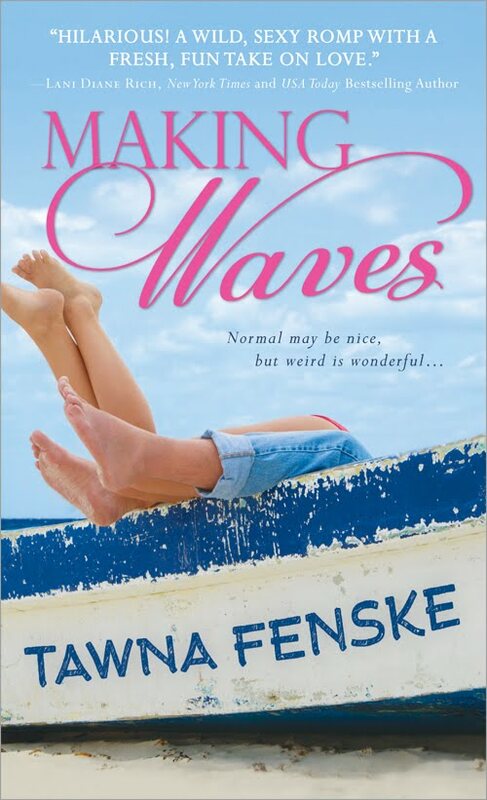 GUEST LAUNCH PARTY + GIVEAWAY: Tawna Fenske, Making Waves! 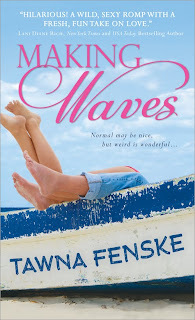 Please welcome Sourcebooks Casablanca author Tawna Fenske, whose debut novel, Making Waves, is in stores this month! So it looks like I’m one of the new kids here at Sourcebooks Casablanca. I’m thrilled to be greeted warmly instead of shoved in my locker with a “kick me” sign on my back. I love the idea of a launch party, even if I don’t get to wear the little cone-shaped hat or play pin the tail on the naked sailor. I commemorated the occasion by having cake and champagne for breakfast, something that didn’t sit well with my boss. But I’m feeling celebratory anyway, which is sort of how I want people to feel when they read my books – kind of a cross between maniacal laughter and that tingly feeling you get in the places described on the dog-eared pages of your junior high health text. Did I mention I write romantic comedy? My debut novel, Making Waves, hit shelves earlier this month. In a nutshell, it’s the story of a guy who gets kicked to the curb by an unscrupulous boss and decides to reclaim his pension and dignity by embarking on the most dysfunctional pirate mission in history. He’s not counting on a quirky blonde stowaway with a perplexing array of secrets, and he sure as hell isn’t planning on falling in love. Though I’ve never stowed away on a pirate ship, I do share my heroine’s allergy to motion-sickness meds. That’s what causes her to accidentally board the wrong boat, and it’s what once prompted me stagger around a Hawaiian restaurant knocking candles off tables while lobbing dinner rolls at strangers. There’s been a lot of buzz about the Strip Battleship game played by the hero and heroine in Making Waves. The Sourcebooks copy editor actually asked if I’d verified that the moves described in the scene were representative of actual game play. I’m pleased to assure you the scene was well researched and documented. It was a sacrifice, but someone had to do it. I’ll freely admit I wrote this book just so I could use phrases like poop deck, dinghy, coxswain, ditty bag, and come abreast. So that’s about it for me, guys. Thanks for the great party, and special thanks to whoever spiked the punch. Now who’s going to help get the confetti out of my hair? Thank you for visiting with us today, Tawna! To be entered to win a copy of Making Waves, let us know what you’re bringing to Tawna’s launch party! US and Canada addresses only, please leave an email address where we can reach you. Winners will be chosen on Monday! But Alex isn’t feeling very normal when his unscrupulous boss kicks him to the curb. Meeting Juli doesn’t do much to restore normalcy to Alex’s life either, but it sure is exhilarating! Tawna Fenske traveled a career path that took her from newspaper reporter to English teacher in Venezuela to marketing geek. An avid globetrotter with a fondness for the sea, she shares her heroine’s violent allergy to seasickness medication (though, sadly, has never stowed away on a pirate ship).Tawna is the author of the popular daily blog “Don’t Pet Me, I’m Writing” and lives in Central Oregon, where she is working on her next novel, Believe It or Not, in stores March 2012. For more information, please visit http://www.tawnafenske.com/ or follow her on Twitter @tawnafenske. Welcome! And oh my, this does not look like your average shipboard romance--looks a lot more fun than that! Now you have me wondering if they cross the equator--no, the real equator, the one on the earth.... suppose I'll have to read the book, hmm? Lunch should be something light. Remember we're on the water. I'll bring shrimp with a delicate sauce for dipping and grapes and oranges. Then of course we have to have champagne. I'd bring my iPod and supply the music. What fun! Even the cover suggests giggles deluxe. Congratulations, Tawna! I'll bring confetti shaped like ships. Congratulations, Tawna! Hooray for launch parties! Of course, I already have MAKING WAVES, but I still want to win. I can always give it to a friend -- it would be a perfect gift. Sounds like there is a ton of fun in your story, Tawna. Congratulations, and please pass me a piece of cake! I'll bring lemonade and iced tea. Congrats on your new book. Yay!! Happy Launch Party!!!! Enjoy the journey!! Thank you SO MUCH for the lovely party! Er, did we make sure to arrange for a designated driver? Make sure he's hot. Welcome Tawna, I want to read your book really bad. I have been hearing a lot of good things about it. I do love a book with a lot of humor in it, lately the way things are going I need a good laugh. Thanks for the chance to win and for sharing your book with us. I do enjoy a good party so I will bring some hunks. Sounds like fun all around, especially your story. Margaritas - I don't believe anyone mentioned those and they are a must. To be served by the hunks of course! Congratulations Tawna on becoming a published author and on the release of Making Waves! I hope you make more waves. A celebration is in order and I would like to bring chicken salad, mini-sandwiches and iced water. Your book sounds fun and full of personality. Okay, I have to read it just for the Strip Battleship game! Congrats on your release. And re your Twitter post yesterday, you do not look your age (you look younger)! Welcome Tawna! "Pin the tail on the naked sailor"? Your parties are way more interesting than mine! Your debut books looks great! Congrats to yadkny and Melissa/welachild. I will be contacting you both soon about your copies of Making Waves. Thanks to everyone who joined in Tawna's launch party!